At the 2015 Kathleen Ferrier Awards soprano Gemma Lois Summerfield ‘swept the board’ winning both the prestigious 1st prize and the Loveday Song Prize for her performance of Sibelius’s ‘Flickan kom ifrån sin älsklings möte’. These awards were gratefully received by Gemma in full recognition of the efforts exhibited by Duo Partner, Sebastian Wybrew; Teacher, Rosa Mannion; and Coach, Simon Lepper. In operatic repertoire Gemma has played Rosalinde in Die Fledermaus (Strauss II, Royal College of Music international Opera School) First Lady in Die Zauberflöte (Mozart, Royal College of Music International Opera School) Donna Elvira in Don Giovanni (Mozart, Rye Arts Festival) Annina in La Traviata (Verdi, Rye Arts Festival), Donna Anna in Hunter Colbentz’s critically acclaimed work Hogarth’s Bastards, and was cast as La Chauve-Souris and Une Pastourelle in L’enfant et les sortilèges (Ravel, RCM), also playing Vixen, Musetta, Ludmilla and Ilia in scenes from Cunning Little Vixen, La Boheme, Bartered Bride and Idomeneo respectively. 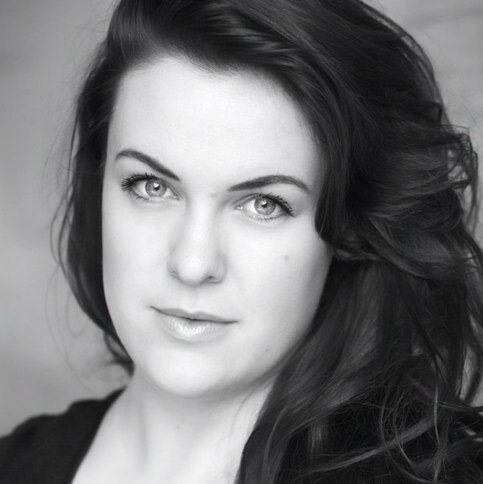 Additionally she has substantial chorus experience with the RCS and Scottish Opera including Cunning Little Vixen (Janáček), Betrothal in a Monastery (Prokofiev), and Die Lustigen Weiber von Windsor (Nicolai). Gemma is a graduate of both the Georg Solti Accademia and of Oxenfoord International Summer School and has taken part in masterclasses with Barbara Frittoli, Leo Nucci, Richard Bonynge, Sarah Connolly, Dame Felicity Palmer; Edith Wiens; Susan Bullock; Patricia MacMahon; Joan Rodgers; and renowned accompanists Malcolm Martineau, Roger Vignoles Jonathan Papp and Anne le Bozec. Solo oratorio performances include Messe Basse (Fauré, Church of the Madeleine, Paris); Carmina Burana (Orff, City Halls, Glasgow); Elijah (Mendelssohn, Holy Trinity, Sloane Square); Stabat Mater (Pergolesi, RCM); and Magnificat in D Major and Christmas Cantata (Bach, Dunkeld Cathedral). Additional accolades include The Cuthbert Smith Prize in the Lies Askonas Competition 2014, The Governors’ Recital Prize for Voice 2013, The Norma Grieg Prize for French Song 2013 and the Jean Highgate Scholarship for Singing 2011, as well as being a finalist in the 2014 Thelma King Award. Gemma has upcoming performances of Ginevra in Ariodante (Handel, Royal College of Music International Opera School / London Handel Festival), Berenice in Il Vologeso (Jommelli, Classical Opera), Gretel in Hänsel und Gretel (Humperdinck, Royal College of Music International Opera School) and recitals throughout the UK to be announced in the near future. A Richard Carne Scholar supported by a Basil Coleman Award, she is a holder of the Worshipful Company of Musicians Silver medal, and consequently a Yeoman of the Company and an Emerging Artist for Classical Opera. She is also an active participant on the Live Music Now scheme and is supported by the Josephine Baker Trust.